Can't sign up for a college class because it is full? 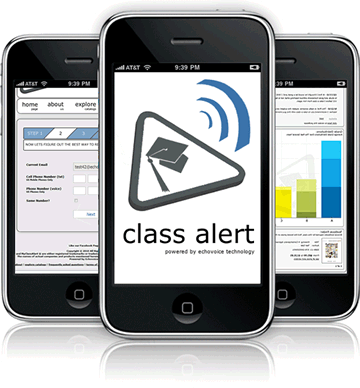 With Class Alert phone and email notifications, you can customize your perfect class schedule every semester. No more continuously checking the course catalog for open seats. Instead, let our free, automated alert system make your college life less stressful. With Class Alert, you can find out the required textbooks for your college classes, and you can automatically search all major online textbook stores for the lowest price available. Sick of getting ripped off by your school's bookstore? 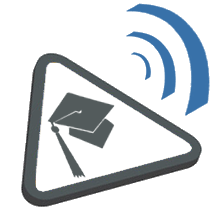 Class Alert has an extensive collection of student-published professor ratings and reviews. 10/17/10 - At first I thought he would be a great prof. I WAS WRONG. He says to study but not WHAT to study and gives homework without teaching what not to learn. I will go a semester without taking 102 before I take a class from him again. Want to know how your professor teaches before the first day of class? Protect yourself from getting stuck with bad professors by reading their reviews before registering. 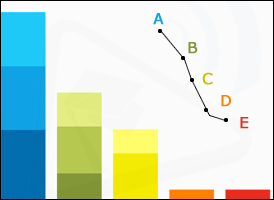 With Class Alert, you can compare previous years' grade distributions side-by-side based on courses and professors, allowing you to set your class schedule and yourself up for success. Increase your chances of passing the class AND boosting your GPA. 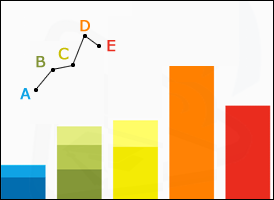 When determining which professor to take, give yourself the advantage by using accurate grade distributions from previous semesters. Use our simplified class search browser to explore your university's current course catalog. Customize your perfect class schedule every semester. See the courses offered by other universities.